By August, even the most creative cooks can find themselves wondering what on earth to make with all of the summer squash exploding right out of their garden. This recipe puts crookneck squash to flavorful use in a crisp which tastes just like apples. This recipe freezes well, and makes both a delicious dessert and a scrumptious breakfast. 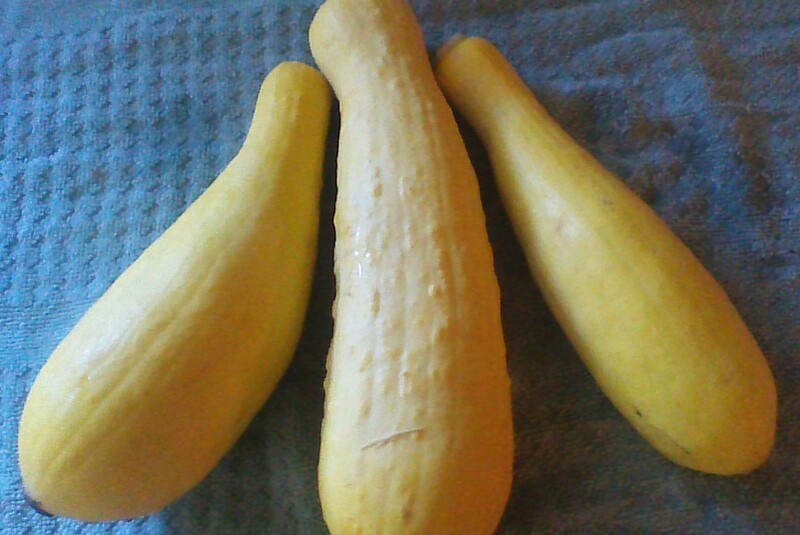 Feel free to substitute patty pan squash or zucchini; either will work just fine. 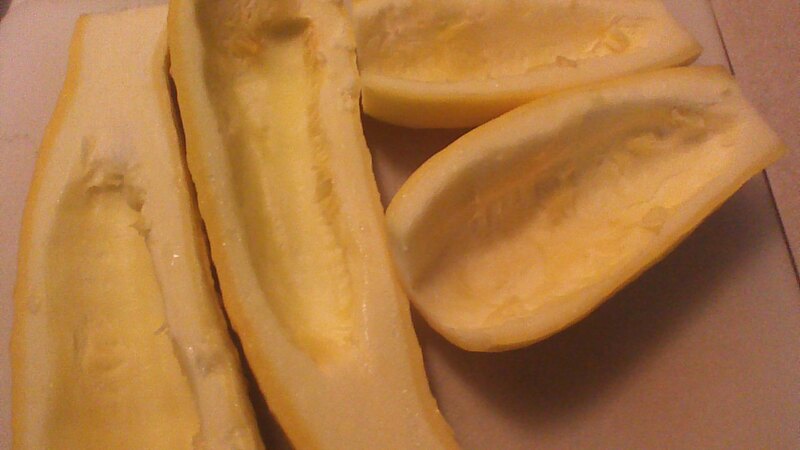 Step 1) Cut squash in half lengthwise and scoop out the seeds. Slice squash into 1/2 inch pieces and place in a large saute pan with a lid. 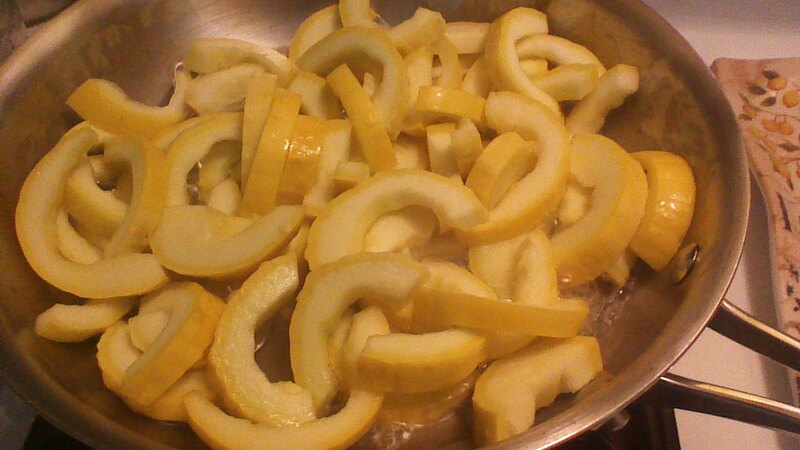 Step 2) Add lemon juice and water to pan. Cover and simmer for 5 minutes until squash is slightly tender (don’t overcook!). 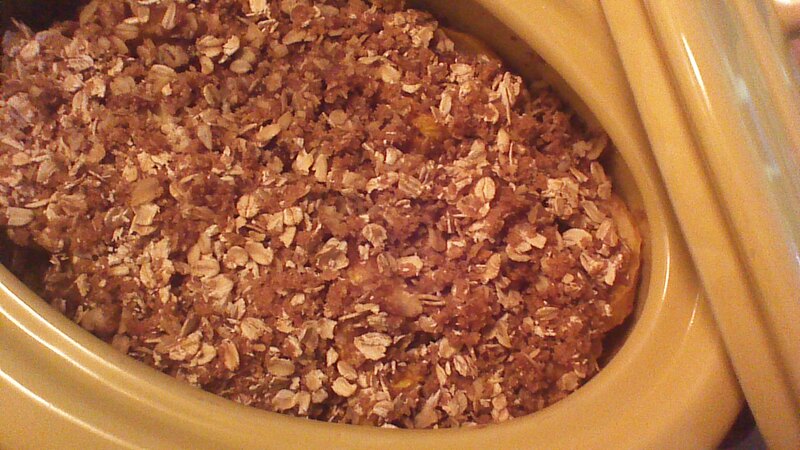 Step 3) While squash is cooking, combine oats, brown sugar, 1 teaspoon cinnamon, and cold butter in a small bowl. 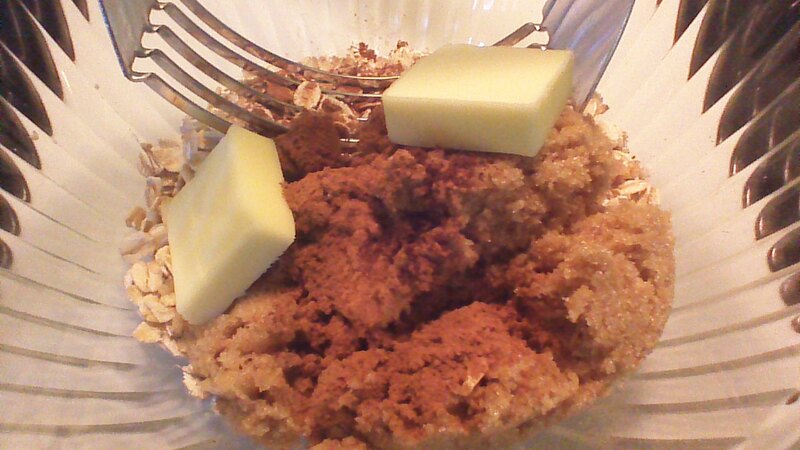 Cut together with a pastry cutter or two forks until mixture resembles crumbs. Step 4) Drain squash. 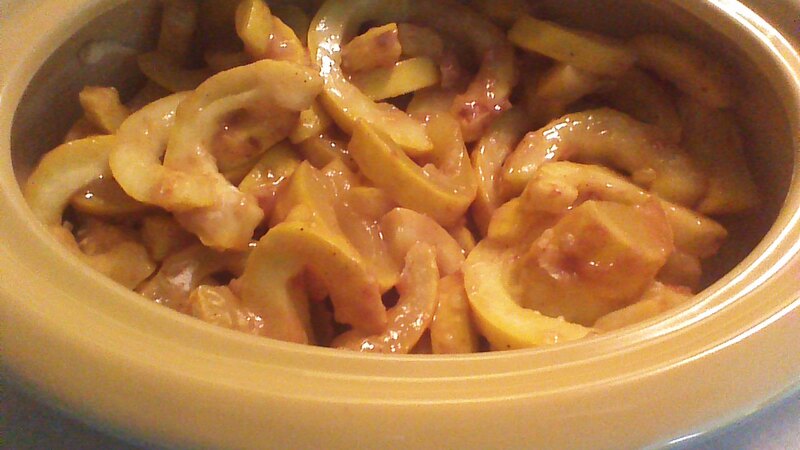 Combine cooked squash, sugar, flour, 1 teaspoon cinnamon, and cloves. Mix gently and pour into a greased, 1 quart casserole dish. Step 5) Top with crumb topping from step 3 and bake (uncovered) in a preheated 375 degree oven for 25 minutes. Allow to cool slightly before serving. This entry was posted in Breakfast, dessert, Fruits and Veggies and tagged apple crisp, baking, Cooking, Food, Garden, Recipes, summer, Vegetarian. Bookmark the permalink.